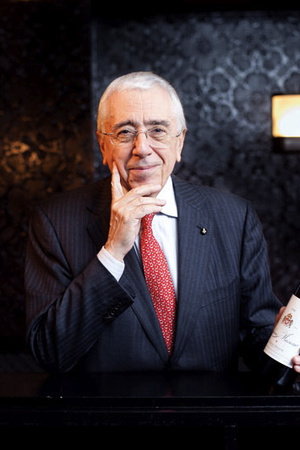 Serge Hochar, winemaker at Château Musar and a pioneering force for Lebanon’s wine industry, has died in a swimming accident on holiday in Mexico aged 75. After studying under the famous oenologist Emile Peynaud in Bordeaux, Serge took over his father’s winery in 1959 and spent the next 18 years developing the highly distinctive, often divisive but certainly long-lived Musar wine style. When Lebanon descended into Civil War between 1975 and 1990, Serge famously continued transporting his grapes through army checkpoints on the long drive from Musar’s vineyards in the Bekaa Valley to the family winery just north of Beirut. As the ongoing conflict saw his domestic market dry up, Serge looked further afield. His big break came in 1979 at the UK’s Bristol Wine Fair, when wine writer Michael Broadbent declared Musar 1967 red his “find of the fair”. By the end of the war, the vast majority of Musar’s production was being exported across the UK, Europe and US. Today Serge’s son Gaston Hochar looks after the day to day running of the family business, while his nephew Ralph Hochar is based at the company’s UK office. Beyond his role at Musar and in promoting the wider Lebanese wine industry, Serge was a loyal supporter of Catholic humanitarian aid organisation the Order of Malta. His words also inspired a poetic tribute to Chateau Musar by China-based wine consultant Edward Ragg, which you can read here. Serge was the greatest communicator of friendship. His smile invoked your smile.His death will touch us all as humans not just wine lovers. As warm a person as one could ever wish to meet yet so determined and successful. Our global wine family is mourning his untimely departure. I had the great fortune of meeting Serge Hochar two years ago and his smile, kindness and love and enthusiasm of wine was infectious. I was enchanted by that sweet man. I shall open a bottle of Chateau Musar tonight and raise my glass to him! I have been waiting for an opportunity to open my ’95. Tomorrow I will decant and think of you and revel in its beauty. Burlingame, CA: I met Serge just one time and was saddened to hear about his death. He seemed to have so much life in him and much to contribute. I hope his legacy stay alive. To day I shall go out and buy a bottle of Ch Musar in his memory. Serge Hochar, CEO of Château Musar, President of the Institute of Vine and Wine in Lebanon, and former President of Lebanon winery Union. We lost a great man, remarkable for his energy, his will and charm it will always remain a worldwide reference a star for the great wines of Lebanon. I am filled with sadness after hearing this sad news. Serge was a wonderful individual whom I originally met when working at Byblos Bank in Beirut. I have such fond memories of the conversations with Serge and my hear goes out to his Family. It was a real privilege to have met Mr Serge Hochard. He always made me feel like a member of the family. His passion for the wine was eextraordinary. I’ll miss him very much.